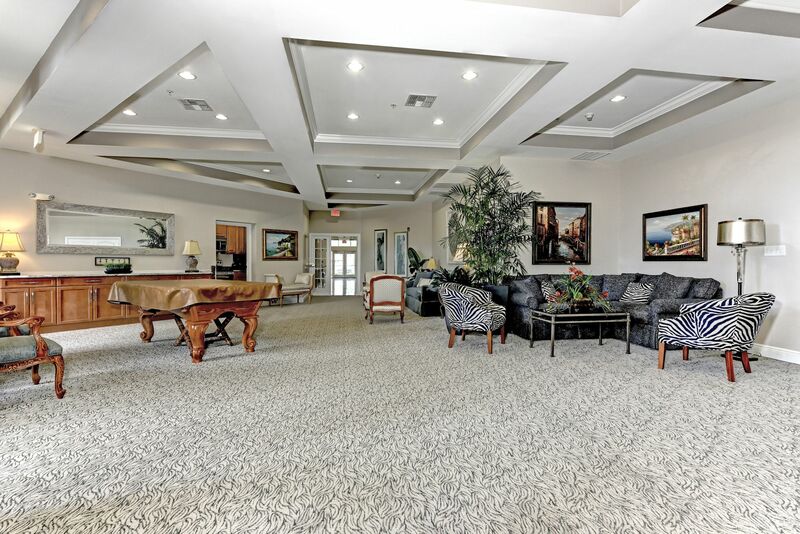 The Social Room is provided to support a wide range of social functions. It consists of a seating areas, a HD Television area, a pool table, very pleasant surroundings, access to the outside pool area and courtyard, and a rather full kitchen. The room is equipped with Wireless. Please contact the Riverdance Office at 747-8702 for password information. The Social Room may be reserved for a Private Party by contacting the Riverdance Office at 747-8702 and providing a Check of $500. The $500 is returned when the room is returned in the same condition that it was before the event. 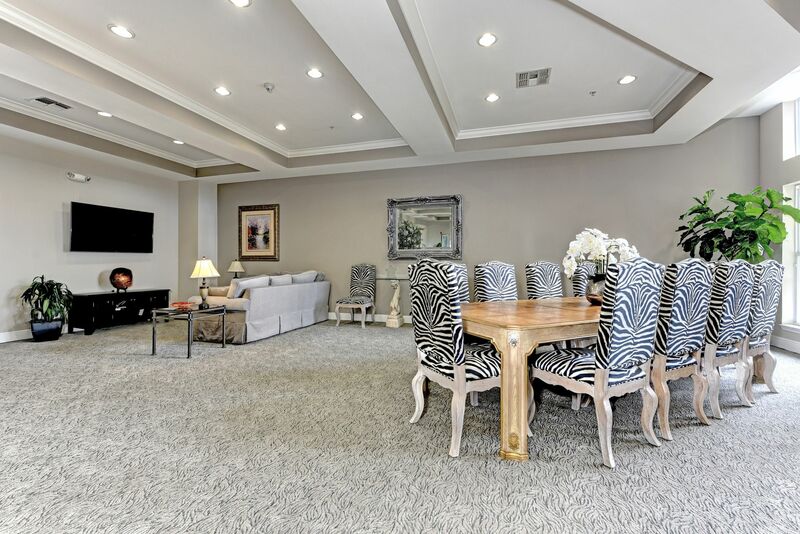 When the Social Room is not reserved for a Private Party, it is available for use by all residents with their guests at no cost. Everyone is responsible for their own cleanup. 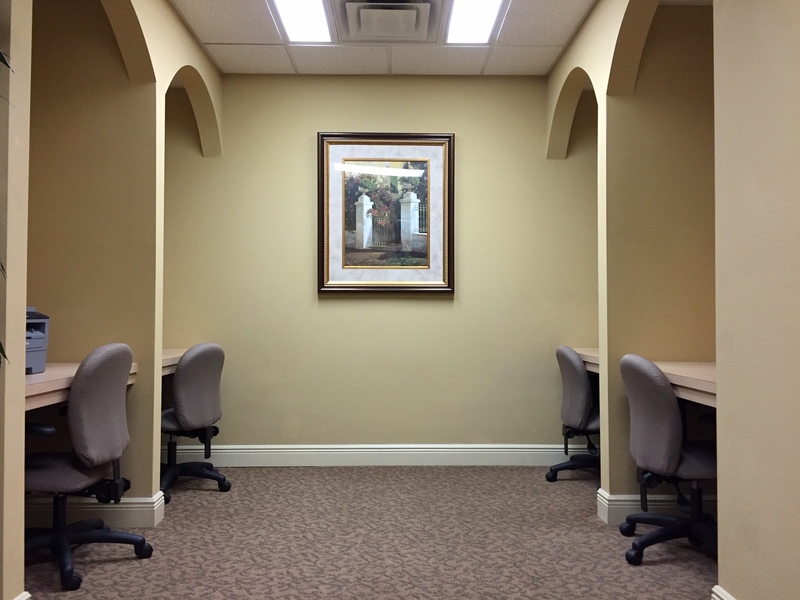 The Computer Room consists of a High-speed Wireless System, a desktop with printer, a FAX machine, and a number of computer stations for use with your laptops. High Speed Wireless is available for use with your personal laptops in the computer stations The wireless system will support up to 50 wireless users. Please contact the Riverdance Office at 747-8702 for password information. The range of the wireless is probably about 100-200 feet, so it is best used in of near the Computer Room. 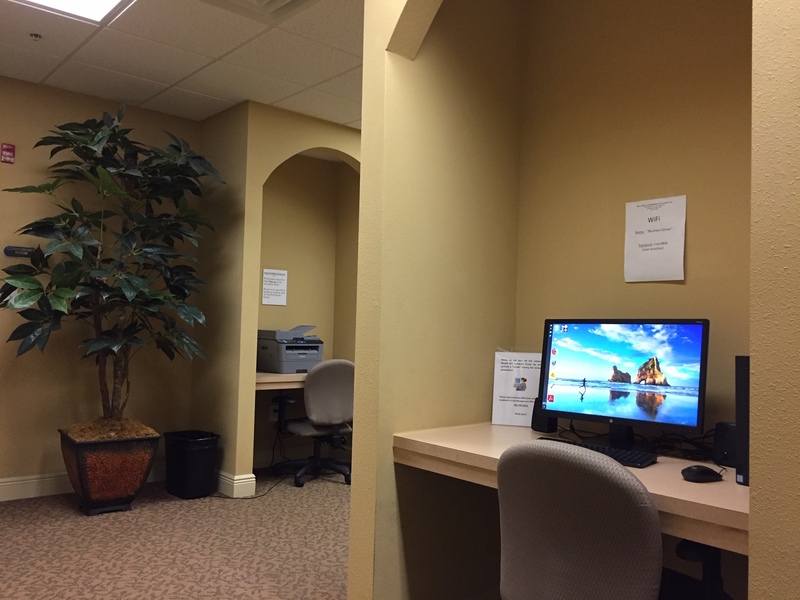 Desktop with Printer is available for resident use on a first-come/first-served basis. A high-speed internet connection is hard-wired to the desktop. The default home page for the desktop browser is the River Dance Home Page at http://www.riverdancecondo.com. A convenient way to print out a document on your home computer is to transfer your document to a memory stick and insert the memory stick into the USB Port of the printer. After the document is printed, please safetly remove the memory stick by using the "Safely Remove Hardware" icon in the lower right tray on the desktop. Memory Sticks can be purchased at computer stores for less than $10. Alternatively you should be able to safely disconnect the printer from the computer by turning off the printer, selecting "Safely Remove Hardware" on the desktop, and disconnecting the printer USB cable from the back of the printer. Please reconnect the printer to the desktop when you are done. It should be noted that the printer should NOT be used for printing big files. The printer is designed for small files; an attempt to print out large files will result in a printer freeze, requiring maintenance to restart the printer. FAX Machine The phone number for the Computer Room, which is used by the FAX machine is (941) 747-2163. You are welcome to use the fax for incoming faxes and outgoing domestic faxes. For incoming faxes, you will want to pick up the fax as soon as possible. Faxes left in the machine may be destroyed. Use of international outgoing faxes should be coordinated with the Riverdance Office at 747-8702 for appropriate billing. Computer Stations The Computer Stations are useful for using your laptops with the wireless. The computer stations were originally designed to be wired, but the wireless capability is better. Please do NOT turn off the power to desktop computer, the wireless system, or the fax machine. The power to the Printer probably should be turned off when not in use. Please turn off the lights when you are finished using the Business Center. The Conference Room consists of a conference table surrounded by 10 chairs. 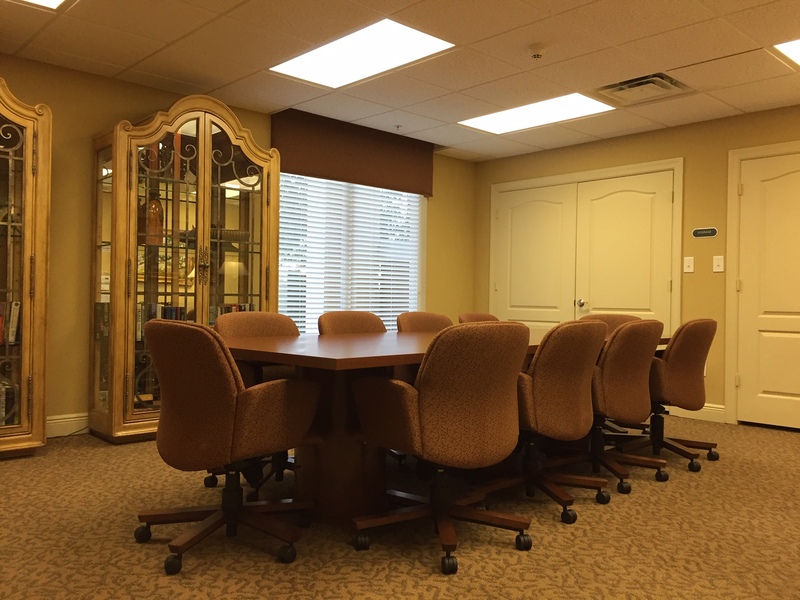 It is ideal for a variety of small meetings. There is no food allowed in this room. The Conference Room may be reserved by calling the Riverdance Office at 747-8702. 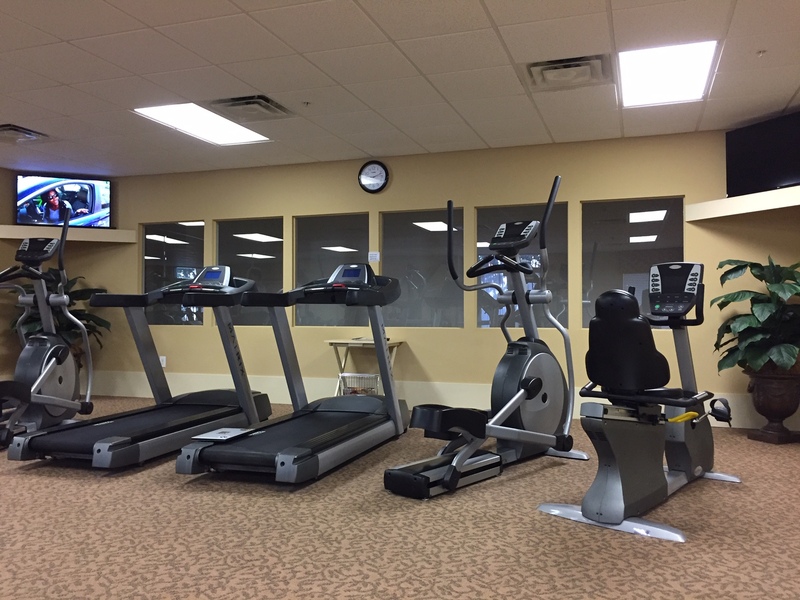 The Exercise Room consists of a variety of aerobic machines, weight machines, individual weights, a wooden workout platform, and two standard television sets with remotes. 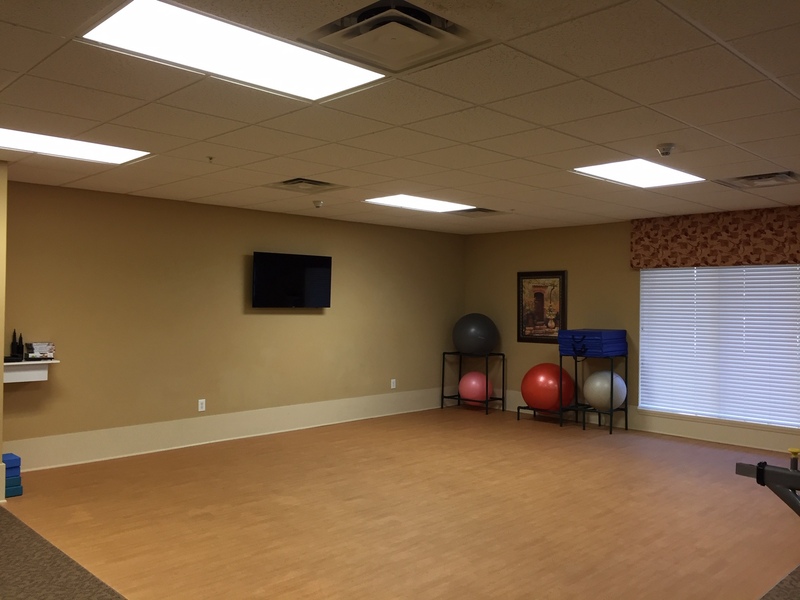 The Exercise Room will be open to all residents on a first-come/first-served basis. 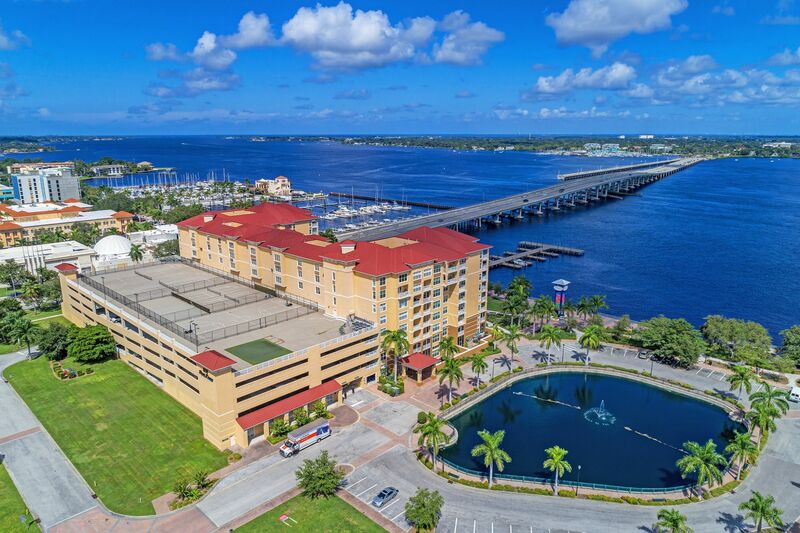 River Dance maintains two Luxury Guest Suites on the first floor (#105A and 105B) for the exclusive use of guests of River Dance Residents. 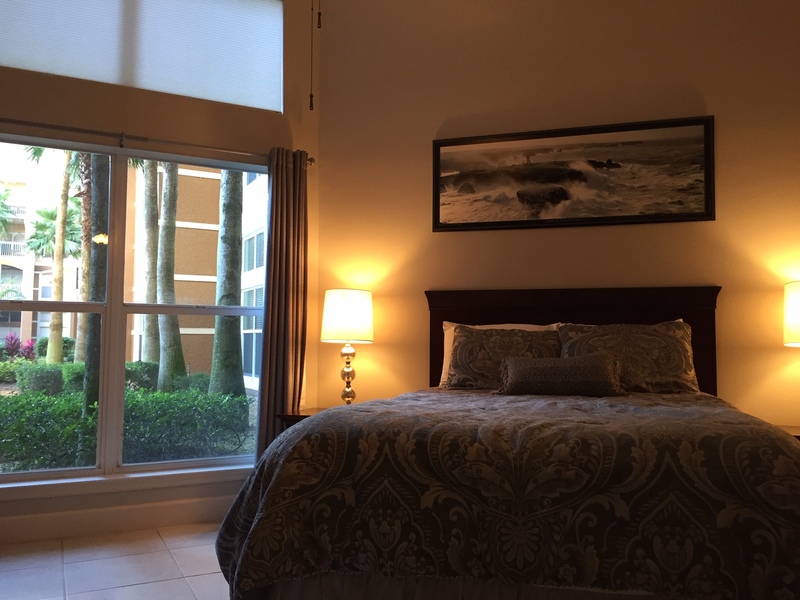 Guest Suite #105A has a screened-in porch and is useful if your guests include smokers. Guest Suite #105B does not have a screened-in porch but does have a kitchen with a stove and a dining room table for 4. Smoking is not permitted in either guest suite. 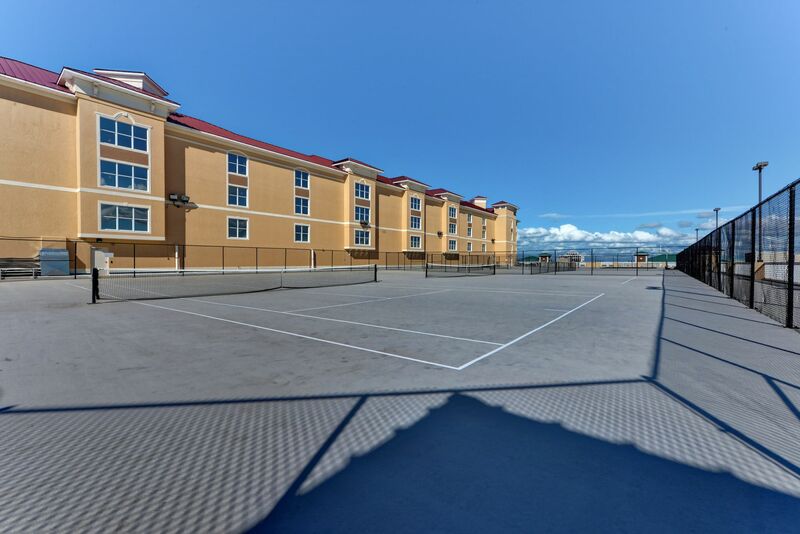 The Amenities Committee has established a limit of 7 consecutive nights for each stay. 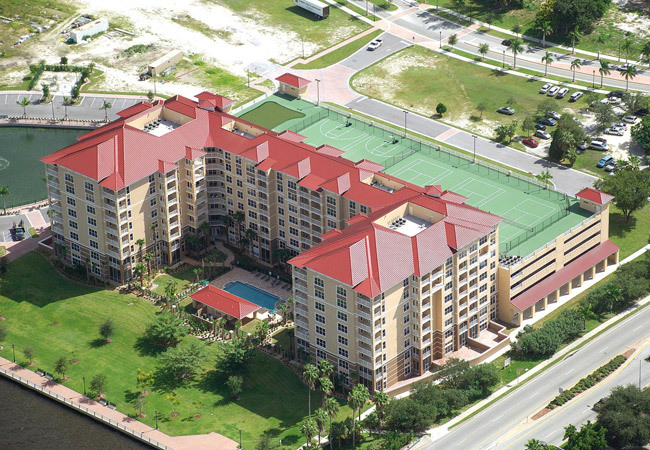 The Guest Suites may be reserved by contacting the Riverdance Office at 747-8702 and making a deposit. 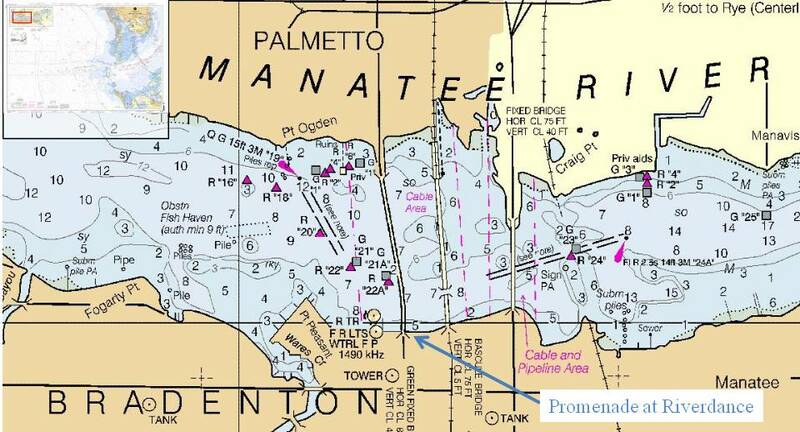 The schedule is maintained on-line, refer to the Google Calendar below for availability. 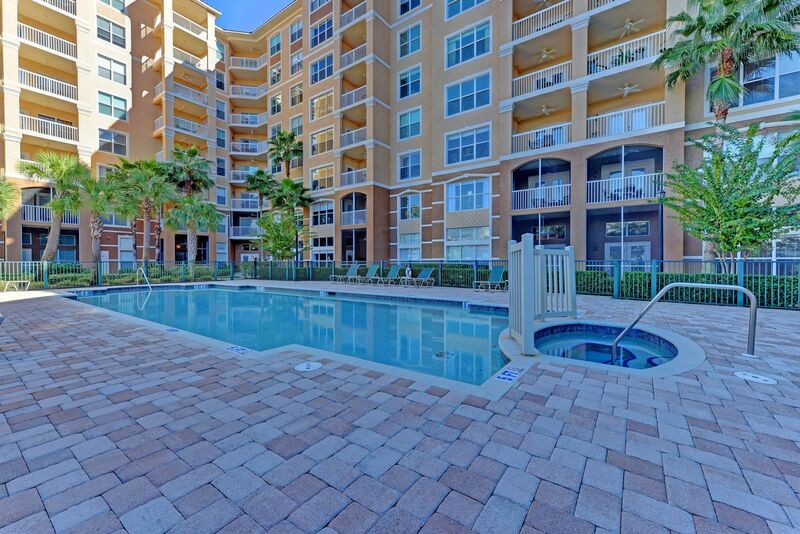 The Swimming Pool, Hot Tub, and Grill Area shall be open to all residents at all times. 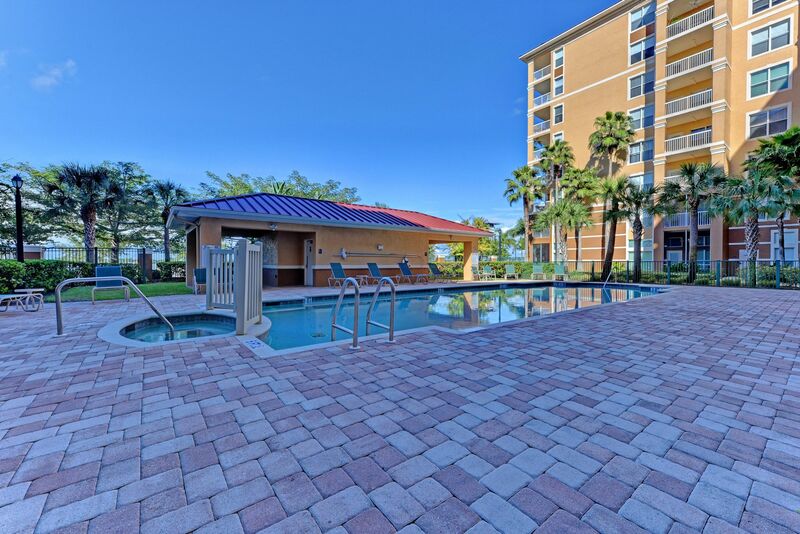 Private Parties in the Social Room may spill out into the pool area, but residents shall always be free to use the Pool, Hot Tub, and Grill Area. Currently there are no reservation procedures as there have been no significant conflicts in using the Sports Deck. 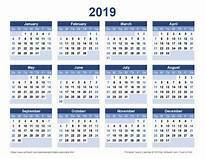 Once usage dictates, there will probably be a Sports Complex Schedule either on-line, or posted at the Community Association Board in the Mail Room. The Putting Green will always remain open for all to use. 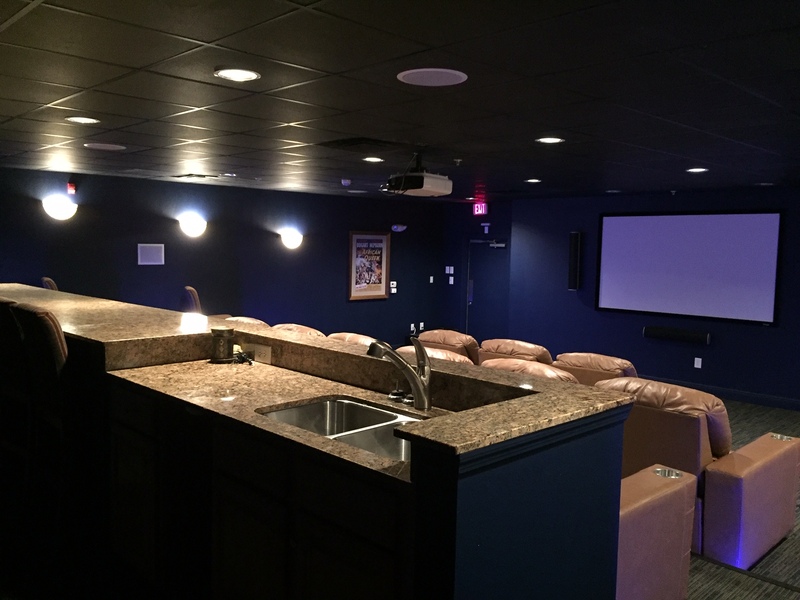 The Media Room consists of a 102" screen with surround sound for the showing of High Definition Television and High Definition Blu-Ray DVDs using an overhead LCD projection system. There are 15 nice reclining seats plus about 10 more stools on the upper dais and on the stairs. The seats recline by popping the rip cord to the right of the cushion. Information on using the Media Room is available by contacting the River Dance Association Manager. High Definition Cable to the Media Center is provided by Brighthouse. The Samsung Blu-Ray DVD System supports the showing of pictures on a memory stick as well as shows provided over the Internet. 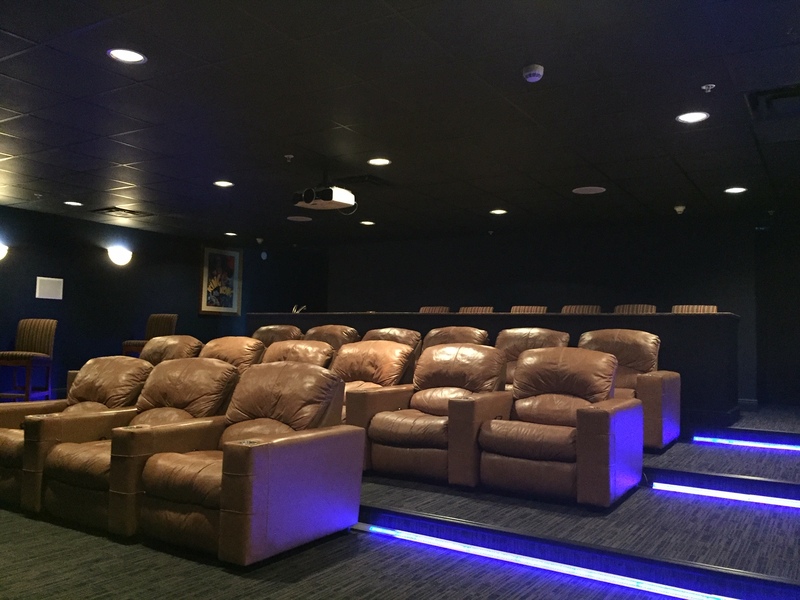 Every unit owner will be able to reserve the Media Room for a private showing twice a month (one weekday time slot and one weekend time slot) with a maximum of 12 reservations per year per unit. 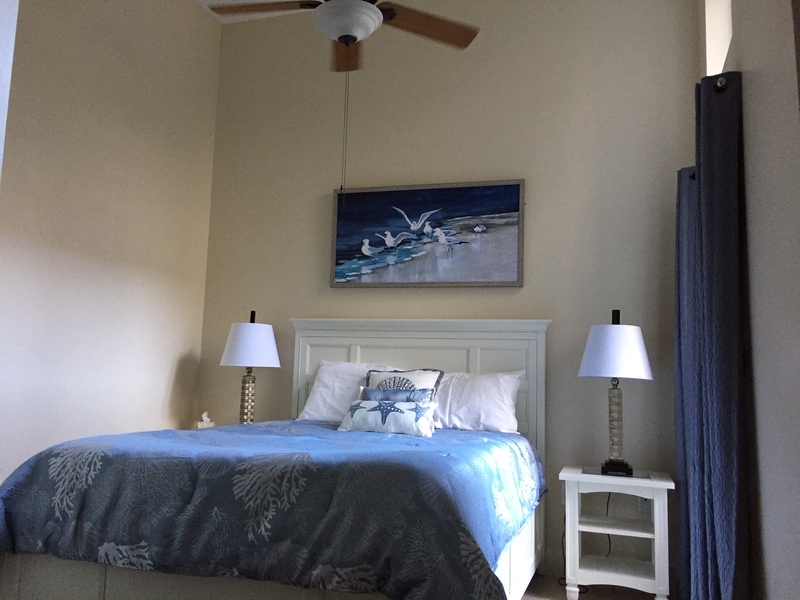 After using the two time slots in a months time, a unit owner will be able use the room on a first come-first served basis and must reserve the room by 1:00 PM the previous day and not before that time. Activities open to all residents shall have priority over private activities. The following activities will have priority over all other private activities: Riverdance at the Movies; Winter/Summer Olympics; NFL Playoff Games; NBA Playoff Games; Baseball World Series; College Football Bowl Games; Kentucky Derby; Preakness Stakes; Belmont Stakes.